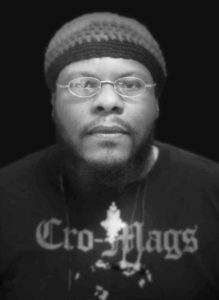 Turbo Qualls is almost an Orthodox urban legend in himself, cropping up in conversations and interviews across the United States, Europe and even in Russia as a missionary, lover of the Gospel, Byzantine historian, and an Orthodox rock of faith for 21st-century subculture youth searching for truth. Here, Road to Emmaus queries Turbo about what we can do to better engage folks of minority ethnic and social backgrounds who find themselves attracted to traditional Christianity. RTE: Turbo, why do you think we Orthodox aren’t attracting more folks of different ethnic, racial, and cultural backgrounds, particularly our large populations of American blacks and Hispanics, and the counter-culture youth? the hearts of Orthodox themselves. I have friends who have been asked to leave churches because of their appearance. They were fine with attending a Greek parish, but some of the Greeks there were not. The same could be said for an ethnic family that finds themselves at an exclusively convert parish, where simple faith and piety is often looked down upon. RTE: It’s hard to talk about repentance in general. But don’t you think that this attitude starts with the priest? No matter what his background, if a priest is welcoming, he sets a tone that parishioners will generally follow. When you read Seth’s story in this issue, the first priest he connected with wasn’t an American convert, but a traditional Greek hieromonk from Constantinople who saw the spiritual yearning under Seth’s ragged coveralls and reached out to him. By the way, some of the greatest missionaries in the world now, reaching out beyond their own country are ethnic Greeks in Albania, Africa, India, and so on. I agree with you that everyone should be welcomed in every church, but not everyone will be comfortable in every church. A few converts are content in an ethnic Greek or Slavonic-language church, reading the translated services to themselves; but many are more at home in convert parishes with English services. How do we incorporate the deep Orthodox world-view that these ethnic parishes offer at their best, with the American cultural scene that most converts are coming out of? We need each other. TURBO: Orthodoxy is about the culture of heaven. Its sole purpose is to groom saints, to bring people into communion with the Holy Trinity. If that is achieved at a deeper level for an individual through a certain ethnic / cultural lens, glory to God. It is a beautiful mystery that the Lord uses cultures to elucidate facets of His kingdom. The fact that the Lord takes cultural traditions and baptizes and blesses them is a mighty reason to give Him praise, and all the more reason not to make those same traditions and cultures idols. My honest opinion is that the convert/cradle tension needn’t be a big deal except for those who have a bigoted disposition. It troubles me that so much of Orthodox evangelism is geared almost exclusively to getting more evangelicals. It seems to me, if you really want to see the Church grow, hit the ghettos, the New Age book stores, music festivals! Those fields are RIPE!! The last thing the Church needs is more Christians who just want to be correct and safe. That mentality is odd to me, because one of the things that attracted me to Orthodoxy was that it was exotic. I attend an Antiochian parish and wish (and always have) that my parish had more Arabs in it. In many ways I am guilty of wanting an as non-Anglo/Euro faith as possible. I know it’s not the healthiest notion, but it’s an honest one. I have come to realize that my tendency to swing the pendulum to the opposite extreme of contemporary American and Christian practice can’t drive me, and I know that this is just a part of maturing spiritually. group. Both cradle and converts need to realize that America is way more diverse than they might like to admit. Lord’s command to feed the hungry and clothe the naked. We also need to go the extra mile of inviting people into our faith, into our parishes. white middle-class investment banker in their midst. TURBO: True. I know a wonderful woman who happens to be Caucasian, who sets up a booth for the Brotherhood of St. Moses the Black in her town in Colorado Springs each year. This is an example of an individual moving out of her comfort zone. I realize however, that not everyone has the courage or gift to do such work. As to the issue of different backgrounds, the pastor of the evangelical church I attended prior to my Orthodox conversion used to admonish us to not discriminate against a “suit” that might come to fellowship. He was right. That tendency is latent within every group. I have to say that I feel incredibly blessed to belong to my parish, St. Barnabas Antiochian Orthodox Church in Costa Mesa, California. We have our struggles like every parish, but in this matter of heart and acceptance I believe that St. Barnabas and St. Mary of Egypt Serbian Orthodox Church in Kansas City are truly ideal. Both parishes have tackled the issue in unique and organic ways. Saint Mary’s is especially unique because she has embraced the local community and become a part of it. Saint Barnabas, on the other hand, is how I imagine most Orthodox parishes in the U.S. could deal with the issue, which is to simply keep the doors open to minorities who do come. If a parish finds itself in an inner-city context like St. Mary’s, where the local community is comprised of African Americans, Hispanics or other groups who aren’t part of the traditional make-up of Orthodoxy, they need to reach out to them and not move their church to the suburban part of town. At the very least, find a priest and those families willing to stay, and stay! their flock lives, the cultural and ethnic make-up of those communities and how to live in that context, not simply exist. community next door to it in order to reach out to the poor black community in a neighboring city, that’s a problem. That parish should sacrifice the feeding of physical bread for the ministering of spiritual bread. FOCUS, the Orthodox social service group, is a great example of reaching out to the whole man with dignity, but not necessarily to whole communities. church ties via the Pentecostal, Roman Catholic and Baptist denominations. We should build relationships with these communities, not through liturgical cooperation, but by investing in friendship and common interests. We need not join a local version of the World Council of Churches, but we should acknowledge those who have labored for Christ in those communities. Offer respect where it’s due. If that’s the motive behind engaging a community, those who are starved for depth will eventually gain the eyes to see what the Orthodox Church has to offer. We must not be more interested in filling convert quotas than we are in offering the fullness of faith and salvation. Greek, Middle Eastern, or Russian restaurant. Don’t just post a flyer at the bus stop of the neighborhoods where your parishioners live. Send the people in your parish who aren’t Greek to invite their friends and community. More importantly, don’t just look at those events as a way to make money. View them in light of the Kingdom. View them as a way to invite people to come and see the faith. Have knowledgeable and friendly parishioners prepared to meet visitors, give tours, and answer questions. Have people ready. friend in Colorado. If someone has connections to a specific community and is already bringing people, priests need to back that play. Bishops need to not discourage it. The key here is that these relations are organic, they aren’t contrived. They blossom spontaneously out of love and the Holy Spirit’s blessing. 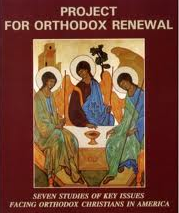 RTE: As a missionary yourself, how do we share the Orthodox faith with dignity? People feel it instantly if you approach them with an agenda, even a “holy” agenda. can be involved in evangelism. results in a superficial uniformity that satisfies no one. TURBO: I can’t stress enough that the issue of where a parish’s heart lies is key to this issue. I have often thought that it’s a good thing that the Holy Spirit hasn’t facilitated an en masse conversion of minorities into the Church, because if there was, the reluctance and possible “white flight” of those parishes could leave some hellish scars on people and their communities. This is an issue that should be addressed to the white evangelical convert community, which often seems to feel threatened by not being a controlling majority, or at least uncomfortable when it’s not “American”. Generally speaking, any minority who happens to stumble (in reality be led) to the Church is more worried about fitting in than they are about doing away with any cultural roots particular to a parish. The real question is, what does an African American Baptist church that becomes Orthodox look like? What does a Korean Presbyterian church that converts look like? How does an Arab parish embrace the Urban Poet that converts? How does a Greek parish embrace the Punk kids that convert? How does a Russian parish embrace the New Ager that converts? How does the American Evangelical Convert parish embrace the traditional Greek or Russian or Serbian immigrants in their town? Those people aren’t coming to Orthodoxy to have a community that looks like them. If that were the case, they would have more success going to an evangelical church. 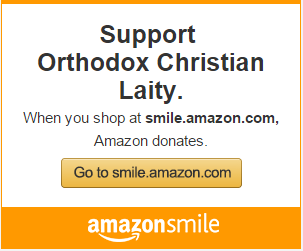 They are coming to Orthodoxy because of Christ. The issue isn’t uniformity; no minority person really wants that, it’s Christian love. RTE: In this issue, we are running interviews with young people from the punk and traveler subcultures: John Valadez, Marina Crissman, Seth Haskins, and Rainbow Lundeen, all of whom mention you. What do you see is the difference between the youth now and those of earlier countercultures. How can we practically reach out to them? TURBO: As I said, our nation is ripe for healing. Not just from the classic racial/ ethnic barriers that continue to plague this nation, but from the cultural divide and ignorance that has fostered a new generation gap. The youth of today are powered by a sense of hope and potential that is different from the youth movements of the last twenty years. They seek positive change for both society and the environment, but they are aware of the failings of the past youth movements and subcultures. They have adopted a more aggressive style, but they also see the vanity of mindless rebellion and self-destruction. Many still need to learn that any path is empty without Christ. These new revolutionaries and radicals are the prime example of whom Christ is calling us to disciple and embrace. Will we say to these youths, these tattooed cultural minorities that they are not welcome because of the colors in their skin? The Lord sees not as man sees; for man looks on the outward appearance, but the Lord looks at the heart. councils, and the saints, but we too often assume that we can’t reach these newcomers without resorting to rasta, hip-hop or rap, or secular youth events that sometimes lack a real Orthodox ethos. While we do have to respond to where people are coming from, we don’t have to sell them short. Russian culture and literature. You yourself are an historian and well-read in Byzantium. I don’t believe that we are so divided in our interests. Traditional Orthodoxy and the cultures from which it emerged should be fascinating to anyone who finds Christ in the Orthodox Church. It’s like wanting to know about the lives of our great-grandparents. Perhaps we can’t live as they did, but there is a hunger for that link. TURBO: St. Paul was a Jew’s Jew, who would have laid his life down for the sake of his people, but St. Paul was sent to the gentiles in full obedience to the Lord. Further, he rebuked St. Peter for his double- minded prejudice. St. John Maximovich loved the Russian people and worked hard to care for them, but he also had the insight to see that the diaspora of the Russian people was scattering the seed of Orthodoxy to the rest of the world. No matter what culture one comes from, or ethnicity, or age group, it is expected of a guest to pay respect to the host. That’s just universal common sense. What is even more universally practiced is for the host to extend great hospitality. This is in fact a very deep and rich Christian tradition that finds its roots in the hospitality of Abraham. When one looks upon that icon, one must remember both the respect and courtesy extended by Abraham and his family and the gratitude of their guests. The sword cuts both ways. them. To not do this is to move toward an imperialistic Roman Catholic or Protestant model, which has sometimes fostered resentment amongst the “evangelized”. Why is this? It’s not because these folk resent Christ, they resent being told they must be European, Spanish, English etc., in order to be Christian. RTE: Also, in the modern Christian world we can see a beautiful mix of French and Arab-style Christian culture in Lebanon. Historically, we know that Greeks and Romans mingled famously and later European cultures borrowed ferociously from each other. When resentment wasn’t dividing them our ancestors always took the best of other cultures. ethnicity makes one a better Christian or closer to God. It is only when one repents, and lives out that repentance that heaven opens her gates. Everything else is wood, straw and stubble.